Why do we reflect on Christ’s crucifixion? How can we relate to such torture? How can we understand such love? How am I supposed to get him to the hospital without him first harming me? I hid all sharp objects, but Chris has his black belt in karate. Suddenly, he struck my jaw with a karate chop. Chris turned and walked towards the steps, punching a hole in the wall. I followed him. Chris walked into our bedroom and began to speak calmly to Howie, as if nothing happened. Unprovoked, he suddenly attacked Howie with a running side kick (a powerful karate foot kick). When he turned toward me, Howie grabbed him. Quickly, I helped Howie hold Chris down on the floor. Chris’s nose started bleeding. Blood poured from his nose onto our carpet. With Howie was on one side of Chris and me on the other, I couldn’t see what was happening to Howie. But, I could hear Howie making grunting sounds as if he was getting hurt. Chris thrashed his feet about in an attempt to break loose. kicking me over and over. He cursed at us and growled like a caged animal. An army of police officers arrived at our house. I never thought I’d be relieved to have my son handcuffed. But, I was. I knew we would all be safe and Chris would have the best chance of getting better. The police took Chris away in an ambulance. Although Howie and I were exhausted, we jumped in the car and headed to the hospital. After a while, Chris fell asleep. He was taken to a room in the adolescent psychiatric ward of the hospital. We returned home at 6:00 AM. Later that day, Howie and I compared notes. Howie and I were careful not to hurt Chris as we held him down. Neither of us minded the blows we received. Even though Chris cursed us, we loved him unconditionally. That’s how it was with Jesus. His accusers cursed, beat, and whipped Him. Yet, He took the pain upon Himself…For our transgressions. The Lord replaced that dreadful experience with a beautiful reminder of Christ’s love. 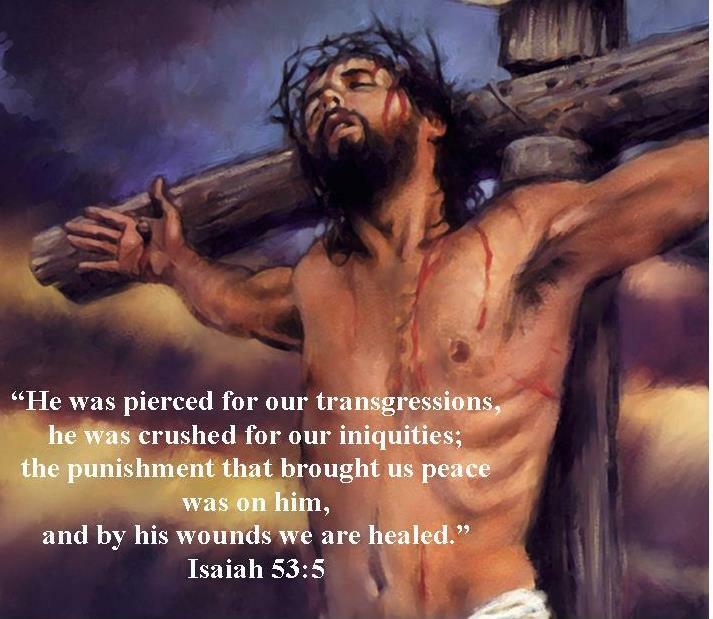 As a little girl, I wondered, “What’s so good about Good Friday?” Our experience with our son years ago gave me insight into Christ’s crucifixion. Jesus willingly died because of His unconditional love for us. He preferred to take our punishment so we could have eternal life in heaven. Do you have a painful memory that haunts you? Christ, who overcame death, can surely transform those troubling thoughts. Kristyn Getty’s “The Power of the Cross” reminds us of His unconditional love. Vicki – I was glad to follow the link to your blog from the Rest Ministries devotional of yours posted today. I am impacted by the message in your look at Good Friday and your experience with Chris – impacted in a positive way. May this blessed season bring joys amidst the challenges to you and all of your family. What a nice surprise to see your comment to my posting! Thanks for stopping by. Yes, we certainly have challenges, but as you put it, this season bring great joys. Christ the Lord is risen, indeed…what an awesome truth to celebrate this Easter and to reflect on each day. Have a blessed Easter. Grateful for our friendship, Dianne…As always, praying for you and yours.